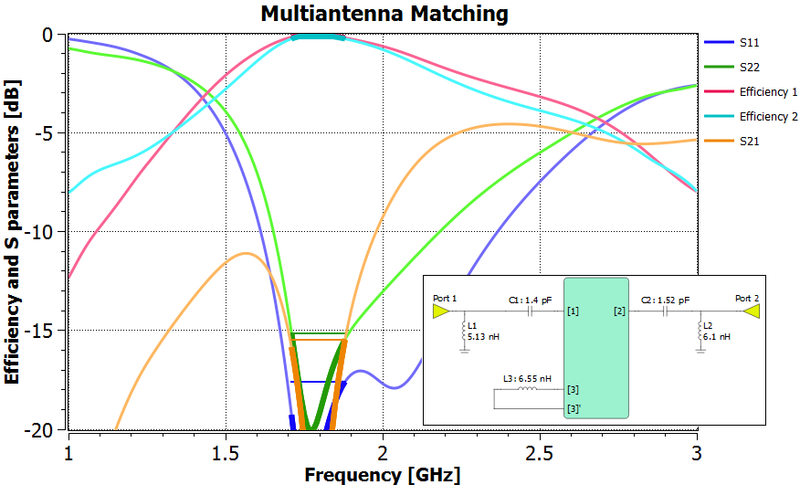 Optenni Lab is a software tool for synthesis and optimization of matching circuits for multiband, broadband, multi-antenna, tunable antenna systems, and high frequency electronics applications. 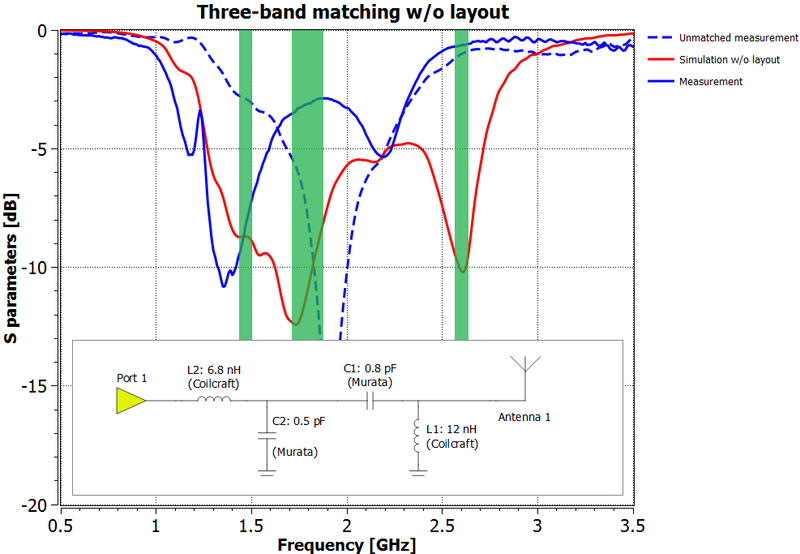 Matching circuit design can be very complicated in broadband and multiband applications, and Optenni Lab automates much of the design process. 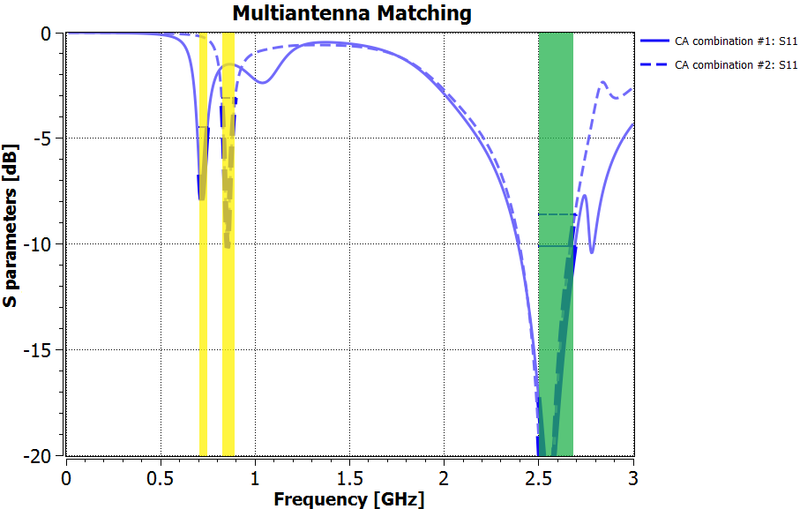 FEKO is used to simulate the impedance data for the unmatched antenna, which is transferred to Optenni Lab to synthesizes different matching topologies, using realistic library models from several component vendors, and sorts the best performing results for closer investigation. 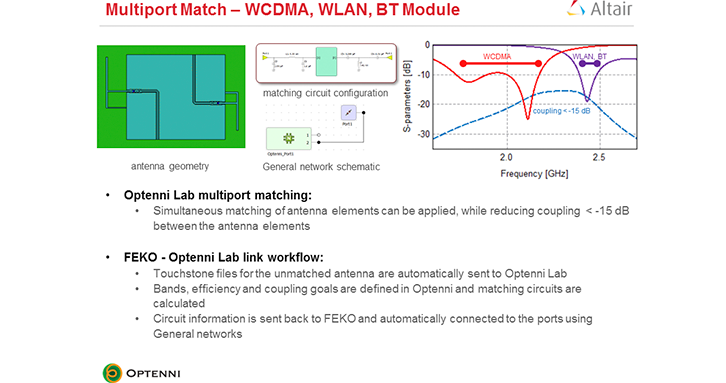 Optenni Lab allows synthesis using an arbitrary number of discrete or distributed components. 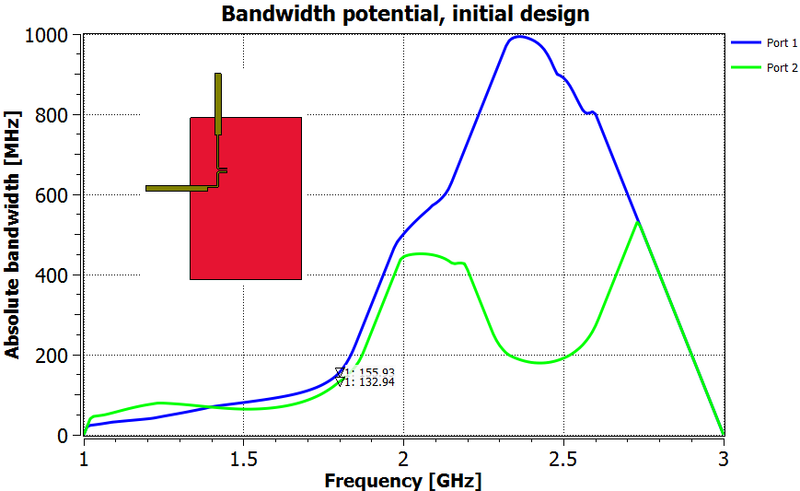 Optenni Lab has easy-to-use antenna diagnostic tools to pre-select most promising prototype candidates for the desired bandwidth and isolation targets. 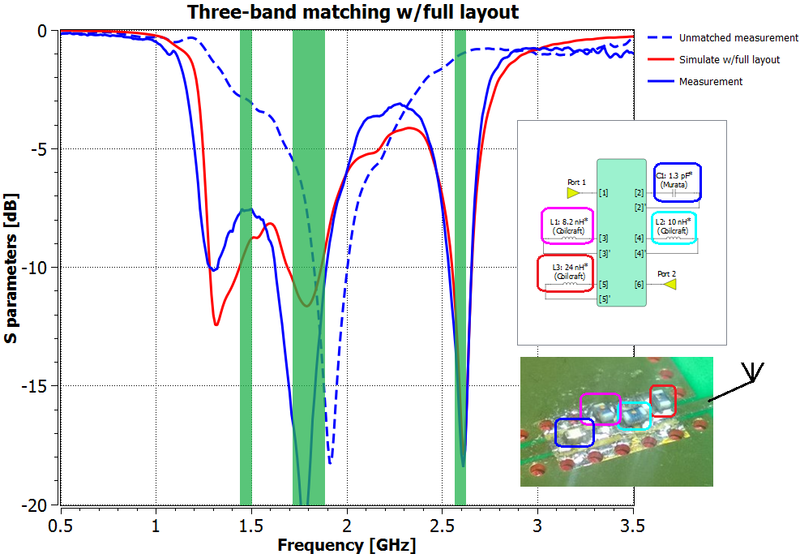 Optenni Lab takes properly into account mutual coupling of antennas in close proximity and finds the matching circuits that provide the best total efficiency. 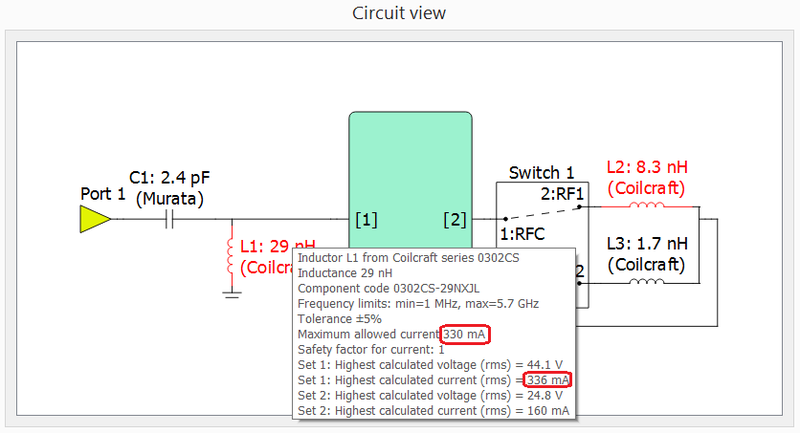 The very challenging design problem of frequency tuning using variable capacitors or switches is supported. 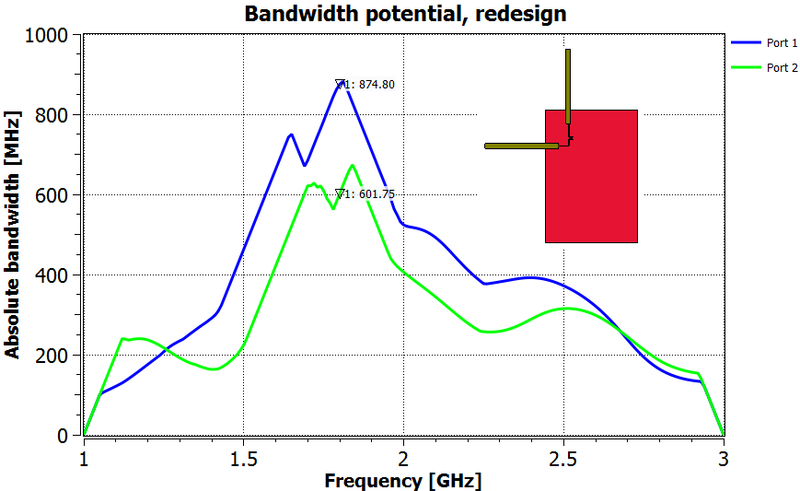 In designing matching circuits for low-noise amplifiers and power amplifiers, users can specify the optimal target impedances for best noise, power, or efficiency performance – including the impedances at harmonic frequencies. 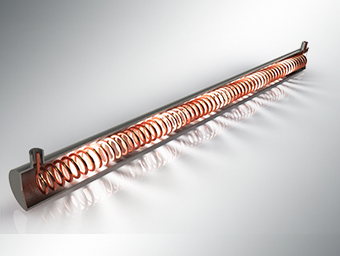 Together with a dedicated circuit simulator or measurement setup, Optenni Lab provides a quick solution to the otherwise time-consuming design phase. 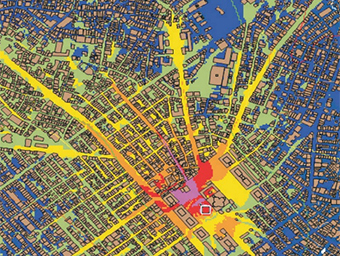 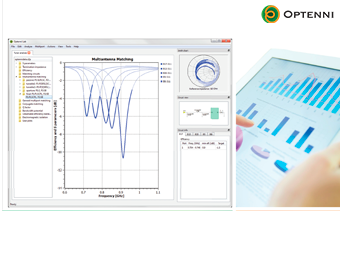 Optenni Ltd. is a trusted partner offering professional RF matching tools to solve challenging RF design problems. 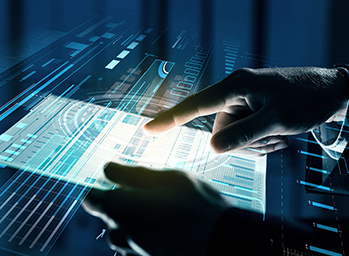 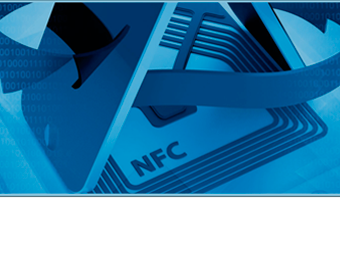 Optenni employs customer-driven innovation and partnerships with leading players in the wireless ecosystem to develop new matching circuit design tools. 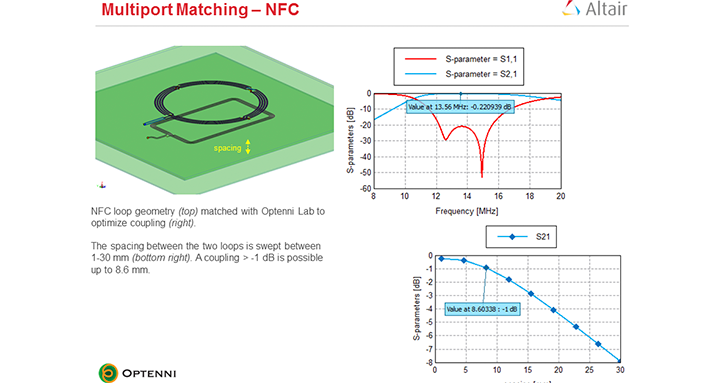 Optenni’s main product, Optenni Lab™, is the leading professional matching circuit design and optimization software. 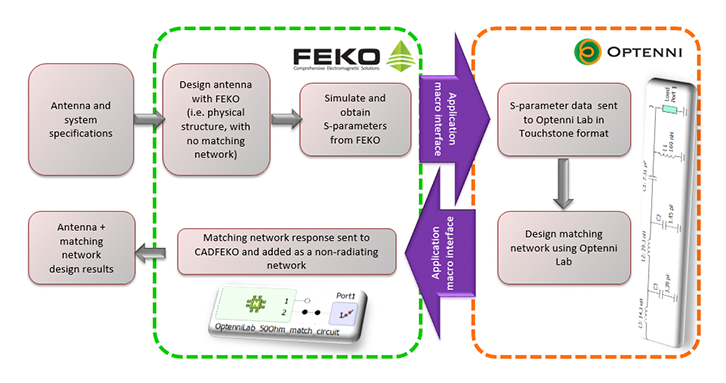 Optenni Lab has a bi-directional data link with FEKO.